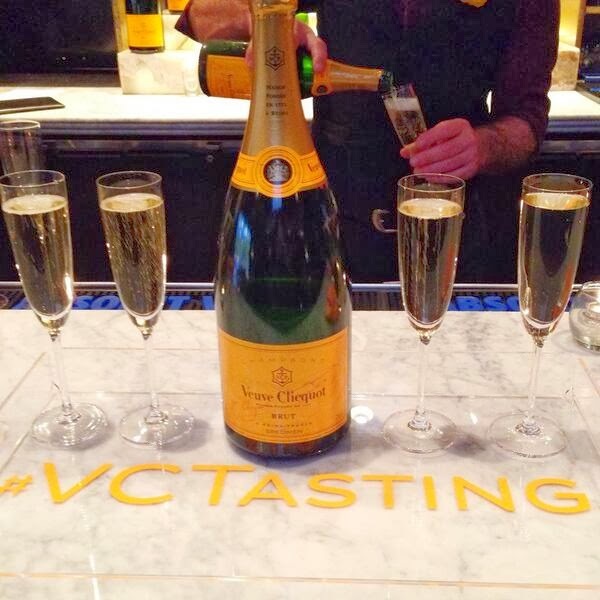 Last Tuesday night, I was invited to attend a Veuve Cliquot tasting event at Bistro 31 in Highland Park Village. D Magazine said of the event, "the pairings dinner showcased Veuve’s versatility amongst elegance. A favored destination within the Park Cities, Bistro 31 set the perfect scene as Champagne flowed freely. The abundant staff was buttoned-up, and executive chef Eric Brandt was at the top of his game." My fellow champs lovers included our host for the evening, Bag Snog blogger Tina Craig; the Schlegel sisters: Kim, Kari and Krystal; Sea of Shoes blogger Jane Aldridge; The Fashionistas founder, Heidi Dillon; FD Luxe editor Christina Geyer, Amy Havins, Merritt Beck, and a handful of other media types. We were treated to Veuve's Yellow Label, La Grande Dame Blanc 2004 and Demi Sec. Each blend was paired with a entree selection created by Bistro 31's chef. To see pretty pictures and read a more in-depth review of the evening, click over to Wes Wells post on SideDish. Why Dallas for this #VC Tasting? "Because bubbles and Southern hospitality go hand in hand," tweeted Veuve Cliquot at the end of the night. #LeDuh.